Wedding cakes run the gamut from the 5-tier traditional cake with piped flowers to the minimalist un-iced Momofuku-style cake. Some couples have a groom’s cake or personalize their cake with a cake topper that is unique to their love. Others use monograms or coordinate the color of their cake with their bridal flowers and bridesmaid dresses. Check out this great collection of wedding cakes for all those brides and grooms-to-be out there! 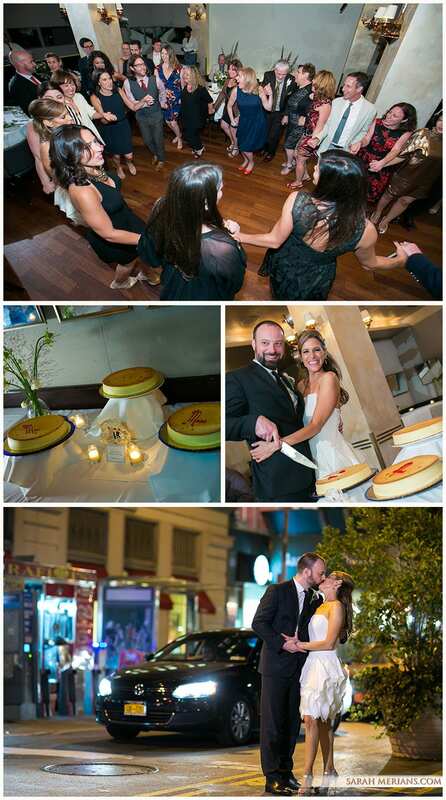 Congratulations to Reina and Ethan who got married earlier this summer at The Pierre Hotel! Our team of photographers John and Liel and videographer Davitte were on hand to capture all the milestone moments. The couple, who practice Orthodox Judaism, said “I Do” under a beautiful floral and fabric chuppah designed by Matthew of Atlas Floral Decorators. The couple’s first dance was beautifully choreographed and performed by Nafshenu Orchestra while Foremost Caterers provided the dinner and hors d’oeuvres. During one of the many horahs, Ethan, the groom, had on a hat that was actually on fire. That’s one hot wedding! The sun was shining in Union Square on Liz & Aaron’s wedding day. The couple got ready at the W Hotel Union Square before heading to Blue Water Grill for some family photos before the ceremony. Liz looked stunning in a halter Grecian style white gown and flower girl Frankie, Aaron’s daughter, was all smiles with flowers in her hair and in her bouquet before walking down the aisle! The party continued with Aaron and Liz’s first dance followed by dances with their parents, speeches and an awesomely rocking Horah! The custom Mr. and Mrs. duo of cakes was fun and different! Congratulations to the happy couple. Take a look a snapshot of their day in photos below.